This beautiful bracelet expands to fit all. 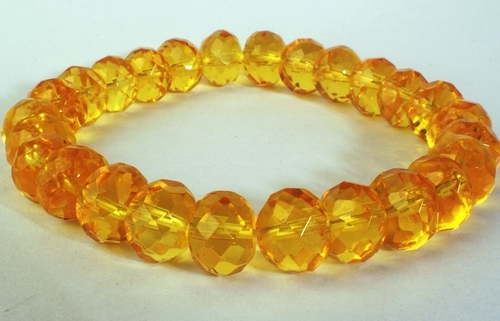 Hand crafted by us from 25 x 10mm x 8mm citrine beads. Measures around 2 3/4-inch diameter, but expands to fit all.